2019 Noah Gragson #9 Switch / Chevrolet Camaro NASCAR 1/24 diecast, by Action Lionel. The JR Motorsports #9 Switch Chevrolet Camaro was raced by Noah Gragson in the NASCAR xfinity Series, NASCAR Racing Experience 300 at Daytona International Speedway on February 16, 2019. 2019 Noah Gragson #9 Switch / Chevrolet Camaro NASCAR 1/64 diecast, by Action Lionel. 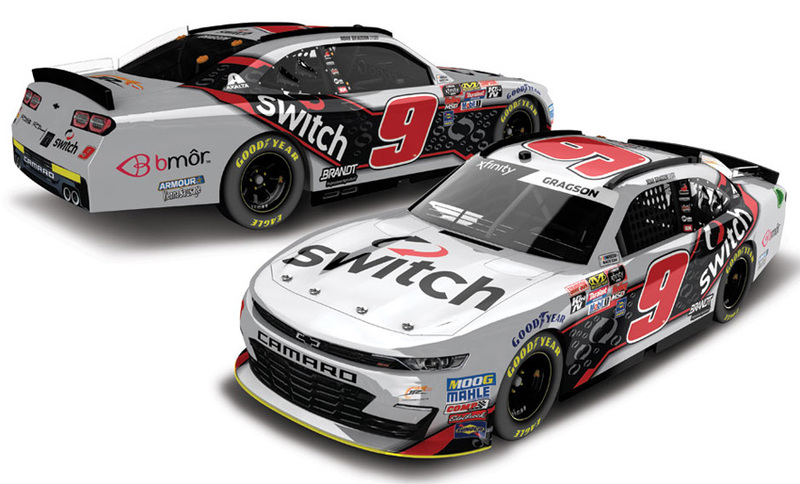 The JR Motorsports #9 Switch Chevrolet Camaro was raced by Noah Gragson in the NASCAR xfinity Series, NASCAR Racing Experience 300 at Daytona International Speedway on February 16, 2019. 2019 Noah Gragson #9 Cessna / Chevrolet Camaro NASCAR 1/24 diecast, by Action Lionel. 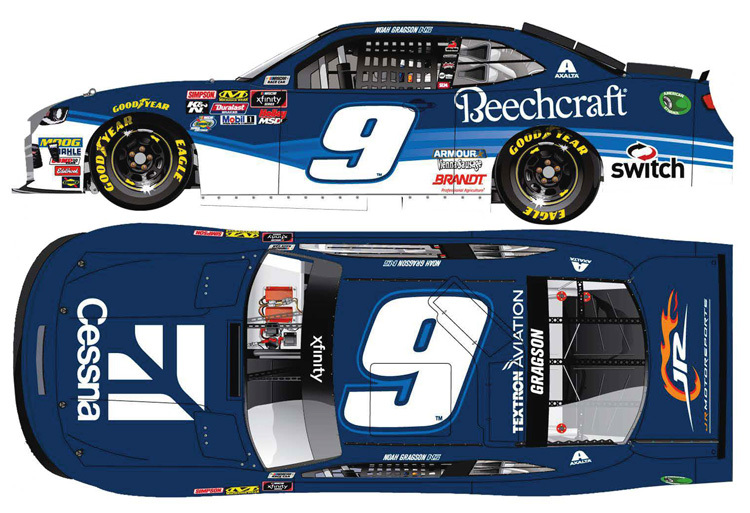 The JR Motorsports #9 Cessna Chevrolet Camaro will be raced by Noah Gragson in 3 events during the 2019 NASCAR xfinity Series season. 2019 Noah Gragson #9 Cessna / Chevrolet Camaro NASCAR 1/64 diecast, by Action Lionel. 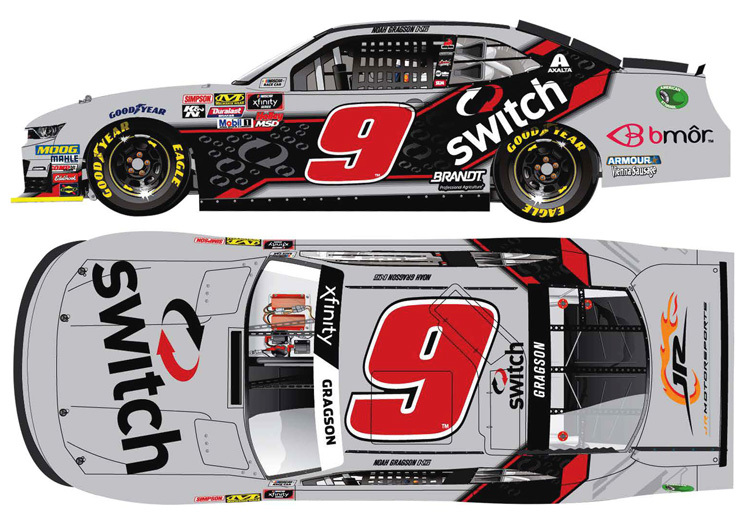 The JR Motorsports #9 Cessna Chevrolet Camaro will be raced by Noah Gragson in 3 events during the 2019 NASCAR xfinity Series season. 2019 Noah Gragson #9 Armour / Chevrolet Camaro NASCAR 1/24 diecast, by Action Lionel. The JR Motorsports #9 Armour Chevrolet Camaro will be raced by Noah Gragson in the NASCAR xfinity Series, MoneyLion 300 at Talladega Superspeedway on April 27, 2019. 2019 Noah Gragson #9 Armour / Chevrolet Camaro NASCAR 1/64 diecast, by Action Lionel. 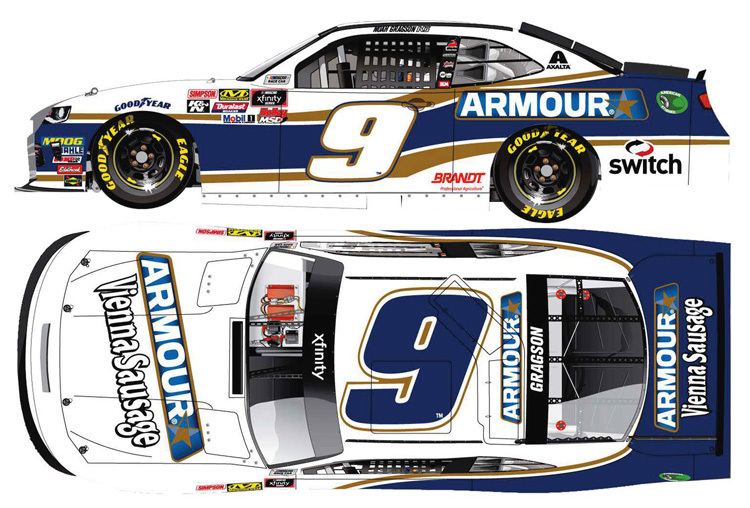 The JR Motorsports #9 Armour Chevrolet Camaro will be raced by Noah Gragson in the NASCAR xfinity Series, MoneyLion 300 at Talladega Superspeedway on April 27, 2019.